Appointed 2018. Professor Fu Hualing is Professor of Law and holder of the Warren Chan Professorship in Human Rights and Responsibilities at the Department of Law, The University of Hong Kong (HKU). He specialises in constitutional law, legal institutions, human rights with a focus on China, and cross-border legal relations in the Greater China region. He is Co-editor of the Social Science Research Network Chinese Law eJournal, and Co-editor of The Routledge Rule of Law in China and Comparative Perspectives Series. Professor Fu was the recipient of the prestigious 2005 Gordon White Award from The China Quarterly for his 2005 article Re-education through Labour in Historical Perspective. He is widely regarded as one of the foremost commentators on the development and operation of public law in China. Professor Fu's perspectives on a broad range of legal issues are keenly sought internationally and also within Greater China. 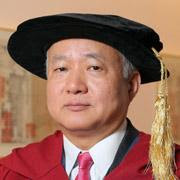 Overall, the work of Professor Fu Hualing has been important in helping to build HKU's exceptional reputation for research and scholarship in relation to China's law reforms, legal institutions, and civil society. Appointed 2017. Cryptocurrency Bitcoin made headlines around the world across last year as it surged from less than US$1,000 to over US$20,000 in less than one year, before crashing in January 2018. Its massive surge and price volatility raises many concerns, with many banking and government officials warning investors not to trust it and that it is a bubble waiting to burst. He is author, co-author or editor of 15 books, and the author or co-author of more than 120 articles, chapters and reports on related subjects. 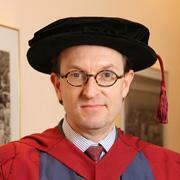 His most recent books include Reconceptualizing Global Finance and its Regulation(Cambridge University Press 2016) and Financial Regulation in Hong Kong (Oxford University Press 2016).